Problem Skin to Flawless Skin! Hi, Everyone! 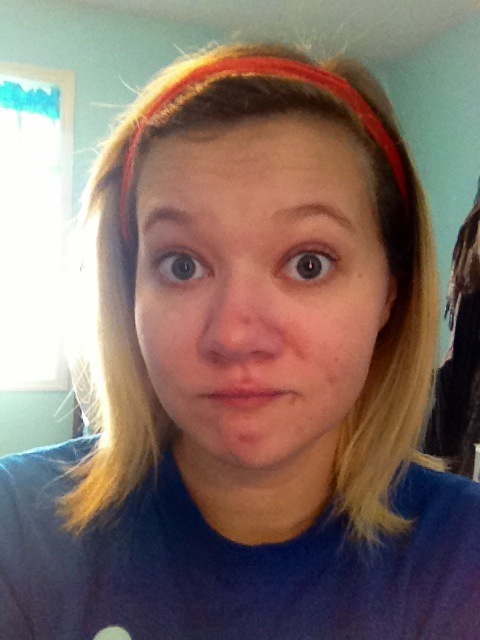 So, I’m taking the leap of faith today and showing ya’ll my biggest insecurity ever: my natural skin. So be nice! For those of you who don’t know (or can’t tell by the lovely picture haha), I’ve struggled with skin issues my whoooole life. I got my first zit in 2nd grade (I remember it like it was just yesterday) and it all went downhill from there. I’ve struggled with cystic acne, breakouts, oily skin, dark under eye circles, very uneven skin tone, and eczema. I know, lucky me, right? Nowadays, I’ve finally got it under control. But not before it had already done everlasting damage on my face. After fighting the War of Zits, I was left with scars, and plenty of them! Fun Fact: the picture you see was taken this morning and face is actually completely clear. Those marks you see? Scars. That I’ve had for years. The only way I’ll ever fully get rid of them is by color-correcting lasers or other pricey treatments. Maybe in the future I’ll get something professionally done about it. But right now, I’m perfectly okay with using makeup for it! If ya’ll read my blog post, My Beauty Story, that I did just a few days ago, you know the real reason behind why I became a freelance makeup artist. But another major reason I became a freelancer is because I was inspired by my horrid skin. I wanted girls to know that it’s more than entirely possible to cover up any flaws you’re not comfortable with. I have so many amazing clients now and I know that they trust me fully because of the struggles I went through with my skin and the state my skin is still in today. They know they’re in good hands because I get it! I’ve been there. I understand. So, today, I’m gonna do a little post about how to get nearly flawless skin (hey, no one’s completely flawless, right?). With no better example than me and my glorious skin (you’re welcome, society. I’ll take one for the team), let’s get started! You always have to start with a clean canvas, so wash your face! It doesn’t matter what face wash you use, there’s so many out there to choose from and I change mine almost daily. Then I recommend always using a primer. Primers are putting an extra barrier between your skin and any makeup products you use, which is gonna cut back on breakouts. Primers also work to smooth everything out, fill in fine lines and pores, and keep your makeup in place all day. 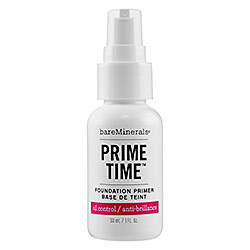 I use the Bare Minerals Oil Control primer and I also love Benefit’s Porefessional! Once your primer dries, then you’re ready for your foundation. Now, if you’re dealing with very problematic skin like mine, you need something very full coverage. I can’t use BB creams because it doesn’t look like I’m even wearing anything! I prefer using liquid foundations because I just find liquids are easier to work with. Always apply liquids with a damp beauty blender or foundation brush. When you do that, you’ll get an extremely natural, beautiful, and flawless finish. 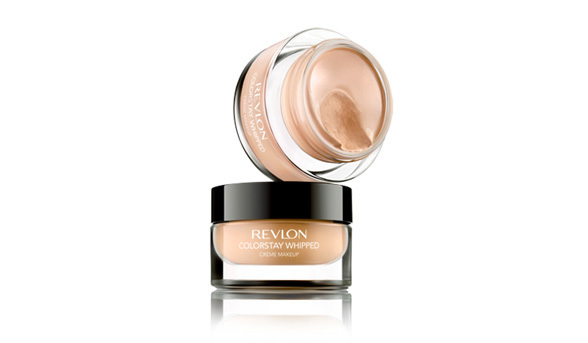 Use whatever foundation you feel comfortable with, but my pick lately has been Revlon Colorstay Whipped foundation, though my foundation choices change constantly! After that, you need yourself some good concealer! 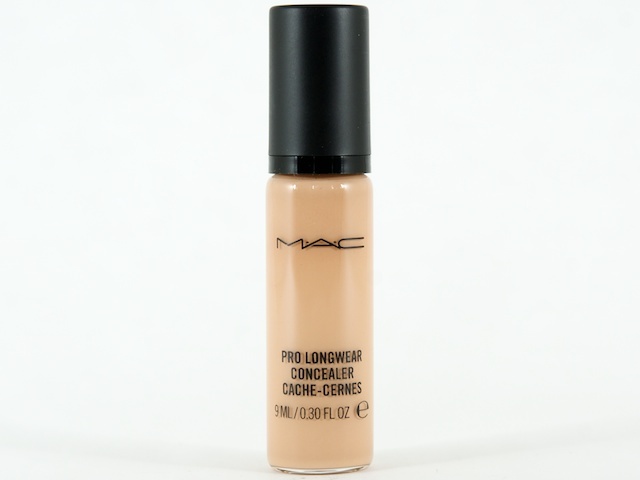 My all-time favorite concealers are those made by Mac. Their Pro-Longwear line is to die for. Love them! They give amazing coverage and stay on all day. These concealers cover even my darkest acne scars or deepest under eye circles. They’re 100% worth the price. I always recommend applying concealer with a brush just like you did your foundation, but some people feel more comfortable just using their fingers. If you do use your fingers though, make sure to wash your hands well to avoid spreading bacteria and causing more breakouts. Whatever works best for you is what you should do! When you’re done applying your liquids, it’s an absolute must that you set everything! I don’t care if you have dry skin or what, you need to set your makeup with something, otherwise, throughout the day, it’s gonna start slippin’ and slidin’ all up on your face. No one wants that! I have oily skin, so I have about a million different powders that I use to set everything with. Whatever you use though, apply it with a brush, concentrating on the areas you get oily in (your t-zone) and places you applied your concealer. For me, I just apply it everywhere and I do that on most of my clients as well. I also finish off my everyday makeup look with a setting spray, just for extra security. This is what my finished product looks like! Now, obviously I go in and contour, use blush, and do my eyes, but I just wanted to show ya’ll the general idea of how to achieve near-flawless skin. It’s really not difficult either! Anyone can do it. It’s just a matter of finding products that you love and that work for you. Trial and error, girl. That’s all it is. So, if you have problem skin like mine, don’t be intimated. Makeup has got your back! 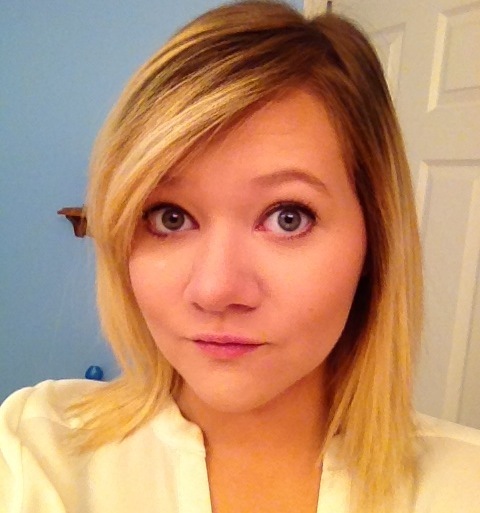 I hope you weren’t too frightened by my makeup-less skin! It should come with a warning label, shouldn’t it? haha Thank ya’ll so much for spending time with me today and be sure to check back later tonight for my Outfit of the Day post! Talk to you later! ← Outfit Of The Day #2! A girl after my own heart…the skin struggles. This was a GREAT post I can appreciate your honestly and willingness to “take one for the team”…thanks for sharing! Wow, what a difference! My face’s badly scarred too since the third grade. My pore got huge and no way to get it small again. I wish I knew how to do make up. My mom and whole family’s strongly against it so I never got any. Although it saves me a lot of time in the morning, somedays I just wish I could beautified myself a little bit. Great post. I know, it’s kinda sad. I should come with a warning label or I’ll scare small children haha That’s a shame your family doesn’t agree with makeup 😦 It’s made me feel so much more comfortable with myself! Yes, so they could put tons of chemicals on their faces before bed. LOL! You should see my mom’s counter, full of wrinkle prevention treatments that has zero natural ingredients and don’t work. She complains all the time about how it stings her face. Sometime I think a little make up goes a long way.